Dazon Dixon Diallo is a recognized visionary and advocate in the struggle for women’s human rights and reproductive justice, and the fight against HIV/AIDS, on behalf of communities of women living with HIV and those at risk for HIV and STIs. Dr. Diallo is Founder and President of SisterLove, Inc, established in 1989, the first women’s HIV/AIDS and RJ organization in the southeastern United States. She is a proud member of In Our Own Voice: The National Black Women’s Reproductive Justice Agenda, where she advocates for sexual and reproductive justice in public health and prevention policies and programs. For 18 years she has served as adjunct faculty in women’s health at Morehouse School of Medicine’s Masters of Public Health Program in Atlanta, GA. Dr. Diallo is a co-chair of the Fulton County HIV Task Force, and is a member of the Board of Directors of the National Women’s Health Network. Diallo is a founding member of the 30 for 30 Campaign for Women in the National HIV AIDS Strategy, and she serves on the HIV/DV National Advisory Committee for the National Network to End Domestic Violence. Dázon was a visiting professor as the Blanche, Edith, and Irving Laurie Chair in Women’s Studies at Rutgers University for 2013-2014. 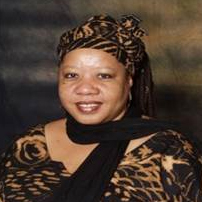 She has secured deep reach into a diverse local and regional community, for more than twenty years, as she has hosted a weekly radio program focused on black women, called “Sistas’ Time” on WRFG 89.3FM and www.wrfg.org in Atlanta. Dr. Diallo holds a master’s degree in public health from the University of Alabama at Birmingham (C’97) and bachelor’s degrees from Spelman College (C’86) in Atlanta. In 2012, Dr. Diallo had the distinct honor to receive an honorary Doctorate of Humane Letters from her alma mater, Spelman College. Diallo has pioneered in the women’s HIV/AIDS and reproductive justice arena by: developing and implementing “Healthy Love”, a seminal prevention intervention that is now a part of the CDC’s National Compendium of Effective Evidence-based HIV Prevention Interventions; establishing the first transitional housing program for HIV positive women and children in the South; and engaging a long-term vision for HIV positive women’s leadership in the fight against HIV/AIDS and in promoting women’s human rights. She currently convenes the only national coalition of women focused on HIV and biomedical prevention, the US Women & PrEP Working Group. In 2001, Dixon Diallo opened a SisterLove program office in eMalahleni, a rural South African municipality near Johannesburg, where the project focus is capacity building and sustainable development for local women-led HIV/AIDS organizations. She has received numerous awards and recognitions over the 30 years she has been working in HIV/AIDS, and women’s health and human rights.